On April 24, CWDS conducted an all-day planning session for Program Increment (PI) 7, which begins on May 3rd and runs through June 27th. PI Planning delivers incremental value by iteratively developing, testing, refining and validating software within a set period of time. Program Increments at CWDS are generally 4-6 weeks in length with a series of 2-week Sprints throughout to check progress and troubleshoot as needed. CWDS is planning several development priorities over the next two months, each determined by deliverables that are ready to build and provide high value to our users. They include the Cognito identity management tool and administration page, Snapshot 1.2 enhancements and further coding for CANS (Child and Adolescent Needs and Strengths assessment tool). For more information on the CWDS development priorities, please click here. See our events calendar for a list of upcoming PI 7 Sprint Reviews. CWDS initiated PI 6 on March 8th and will continue work on this PI through May 2nd. 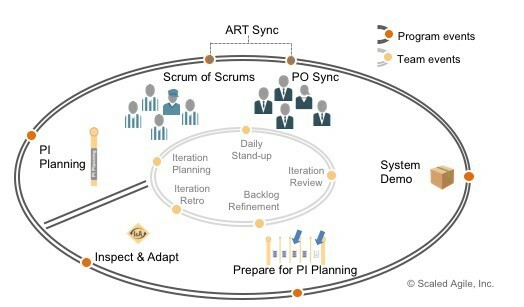 Program Increment (PI) Planning delivers incremental value by iteratively developing, testing, refining and validating software within a set period of time. Program Increments (PI) are set by the project and generally 4-6 weeks in length with a series of 2-week Sprints throughout to check progress and troubleshoot as needed. CWDS is planning several releases for this PI, including: Snapshot 1.1 and 1.2, Cognito 1.0, Facility/Home Profile 1.0 and Case Management Landing Page 1.0. Visit our events calendar for a list of upcoming sprint reviews in PI 6. As the project gets ready for Snapshot to roll out to core counties in upcoming months, CWS-CARES has assigned Implementation Leads to each region. Implementation Leads will provide hands-on support to help counties and other stakeholders prepare to use the new system. For this Snapshot release, each Implementation Lead will work with a region to help guide stakeholders through the key activities, prepare for training and act as a liaison between counties and the project. All of our Implementation Leads will be working together and sharing information across regions for a holistic statewide view on implementation activities. For more information, please visit the Digital Services Implementation Portal. The CALS team is designing and prototyping software that supports the county and state business process for certifying, approving and licensing Resource Family Homes and Children’s Residential Facilities. Early development efforts have focused on the Resource Family Home application process, including support to users from intake of a new application through to decision to approve or deny. The first delivery from CALS is slated to be a standalone facility and home search that integrates results from CWS/CMS and LIS and FAS, which will allow users to view placements, compliance history, and current license or approval status for all state-licensed and county-approved placement resources. Want real-time updates from CWDS? Follow us! Now more than ever, CWDS is focusing on our social media channels for sharing information in real-time with our stakeholders and the general public. In the spirit of Agile methodology and project transparency, we are using social media as way to reach more people, more quickly, every day. Whether you work on the project, or serve on the front line protecting children in one of California's 58 counties, you can keep up our efforts to replace the CWS / CMS system by following us on Twitter @ca_cwds, Facebook www.facebook.com/CaliforniaCWDS and LinkedIn www.linkedin.com/company/child-welfare-digital-services. Moreover, vendors looking for information on current solicitations, state employees looking for promotional opportunities, other stakeholders interested in our latest project reports or social workers wanting to see our most recent CWDS developments can find this information by following us on our social media channels. For years the state of California has been doing multi-year, multimillion-dollar software projects, only to find that many of them don’t produce the results the state had hoped for. They take too long to plan and execute, and cost more than expected. “Customers have one consistent thing they tell us: You gave me what I asked for, but it is not really what I wanted,” said Peter Kelly, chief deputy director for the California Health and Human Services Agency’s Office of Systems Integration (OSI). Read the entire story published by Government Technology. Child Welfare Digital Services (CWDS) has selected Cambria Solutions and Accenture from the state’s Agile Development Pre-Qualified (ADPQ) vendor pool to work on the Case Management digital service. Case Management is the largest of eight services under development to create the system that will replace the existing Child Welfare Services / Case Management System (CWS/CMS) used by county case workers across California. The Case Management digital service will provide county child welfare agencies a comprehensive, automated case management system that fully supports effective child welfare practices, and incorporates the functional requirements mandated by federal regulations. It will provide state and county caseworkers, supervisors, staff and managers with a simple and efficient tool for maintaining a case record in a variety of situations, including: family needs assessments, court supervised or voluntary in-home services, foster care placement, family reunification services, and permanency planning services. The project is pioneering the development and operation of cloud-based software in the public sector, following a DevOps project lifecycle rather than a traditional design, development and implementation (DDI) / maintenance and operations (M&O) model. The project is taking an innovative new approach for California state government, using agile methodologies, free/open source software (FOSS) and user-centered design. The project’s first code release, in March 2017, came six months before the selection and award of a system integrator and two to three years before any working software would have occurred under the previous monolithic “waterfall” approach. 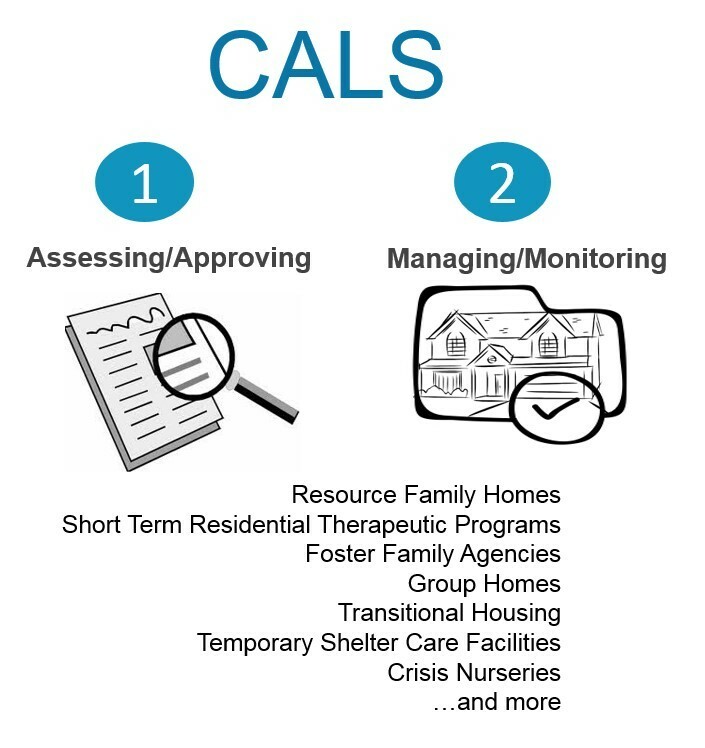 Berkeley-based CivicActions has been selected to provide technical consulting services for Child Welfare Digital Service (CWDS), the project announced on June 30. 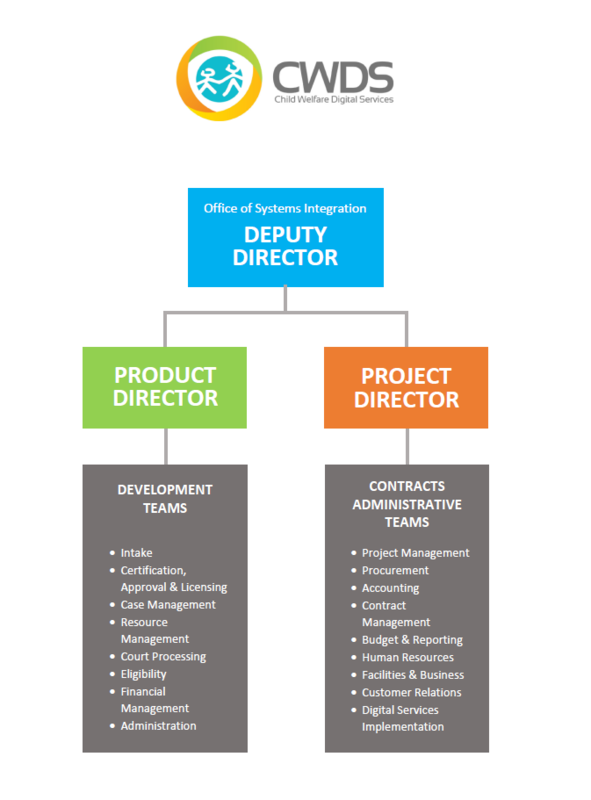 CivicActions will provide six full-time staff to the project’s infrastructure team, helping provide a continuum of services and capabilities including integration, deployment, and automation. The new team members triple the project’s infrastructure engineer count from two to six, with the introduction of four new engineers, a performance analyst, and an experienced release manager who will also be the team’s Scrum Master. CWDS is pioneering the development and operation of cloud-based software following a DevOps project lifecycle rather than a traditional design, development and implementation (DDI) / maintenance and operations (M&amp;O) model. The project is taking an innovative new approach for California state government, using Agile methodologies, free/open source software (FOSS) and user-centered design. The project consists of eight digital services to replace the legacy system that manages casework for county child protective services programs, foster home approvals and licensing, and other critical functions that allow case workers to protect children. With the project’s first code release in March, teams of state staff and contractors, including designers, developers and project managers, have been working to get started under the new approach. Momentum is building as more developer teams will be hired in the coming months.